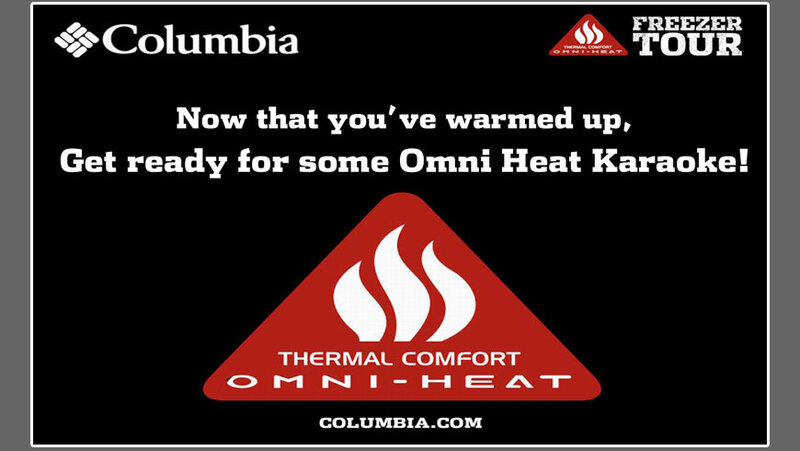 Columbia developed a new line of clothing called Omni Heat. 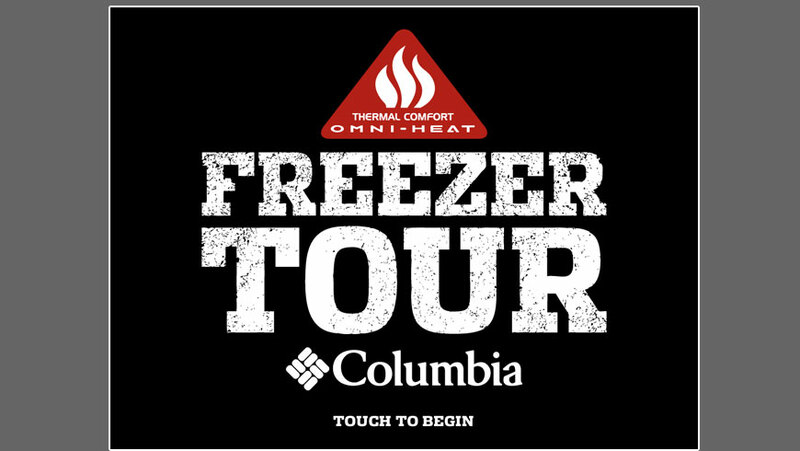 They wanted customers to experience how effective their material is at keeping people warm so the “Freezer Tour” was created. 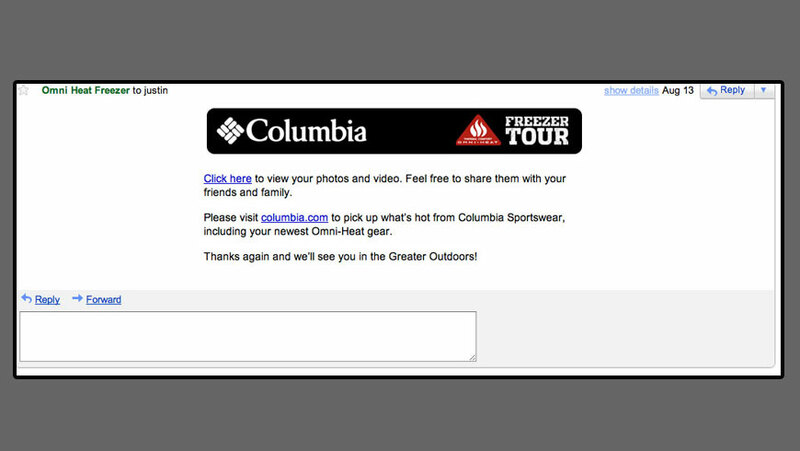 Users try on the Columbia Omni Heat jackets and hats and enter their email into a touch screen kiosk. 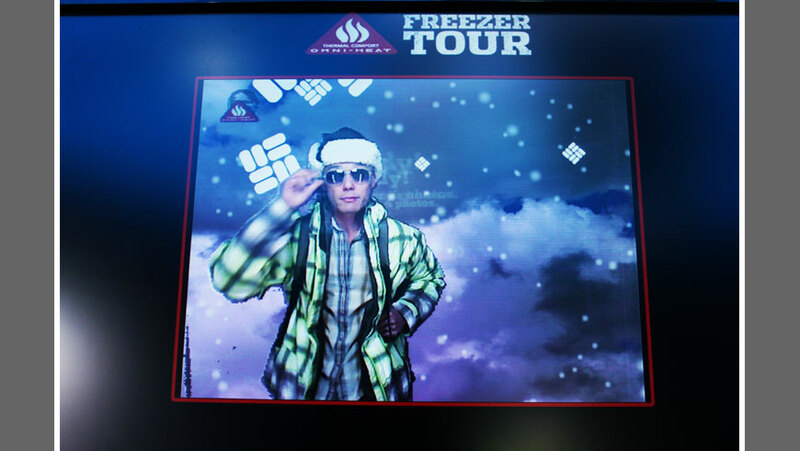 From there, they are prompted to choose between one of twelve hot/cold related songs to karaoke in the minus ten degree freezer. 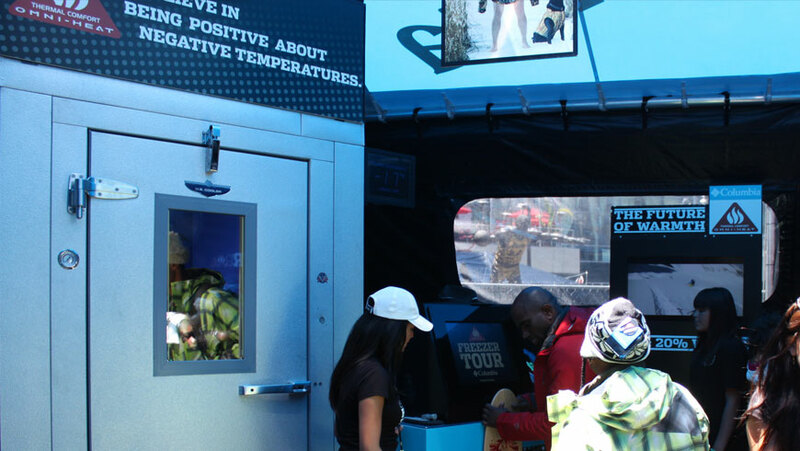 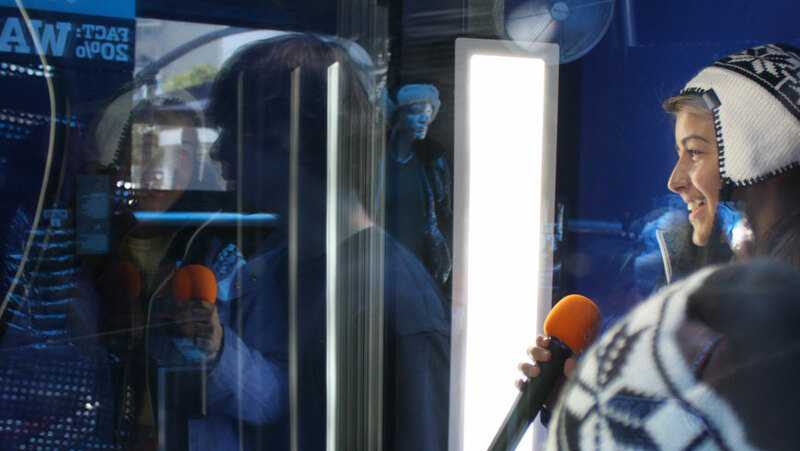 We provided all of the interactive technology to power this tour, from the activation point to the content distribution and social sharing. 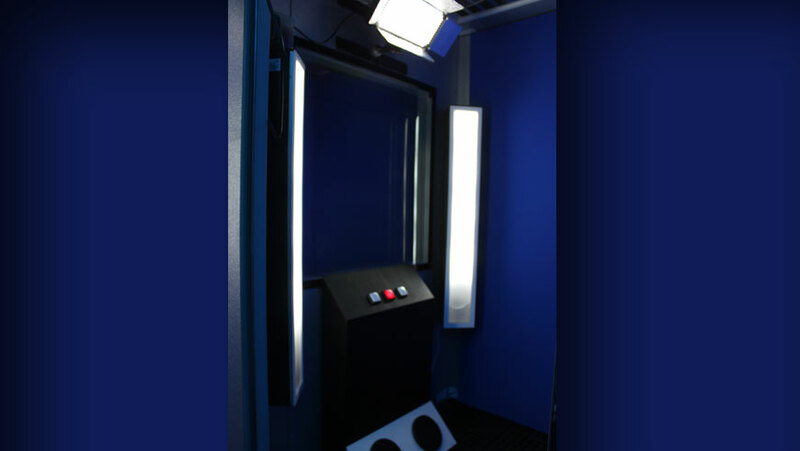 This project had a lot of bells and whistles; custom touch screen kiosk, custom karaoke software, custom blue screen video capture software, custom camera system and teleprompter through triple pane glass, live view video feed screens outside the booth. 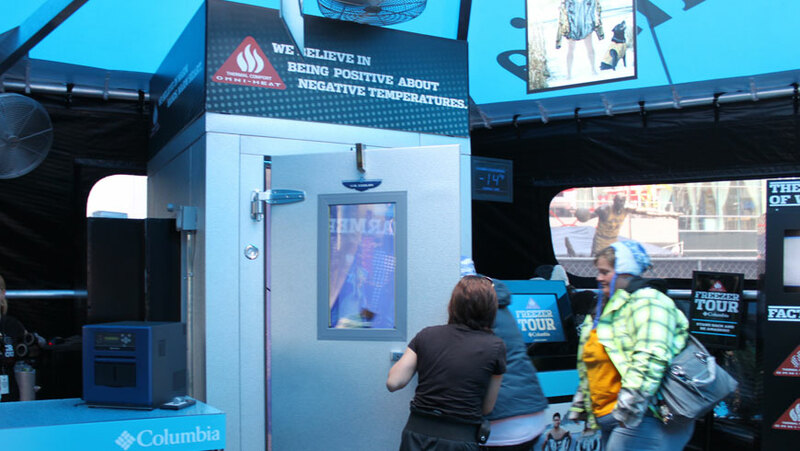 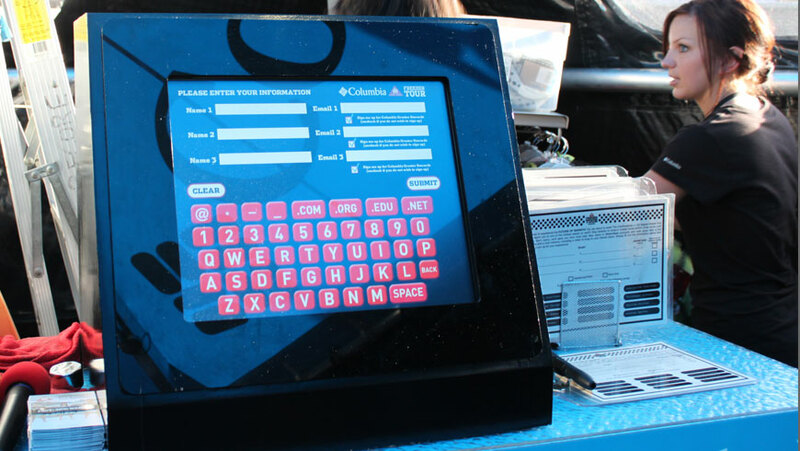 This project toured for two years, activating at events like the X-Games. 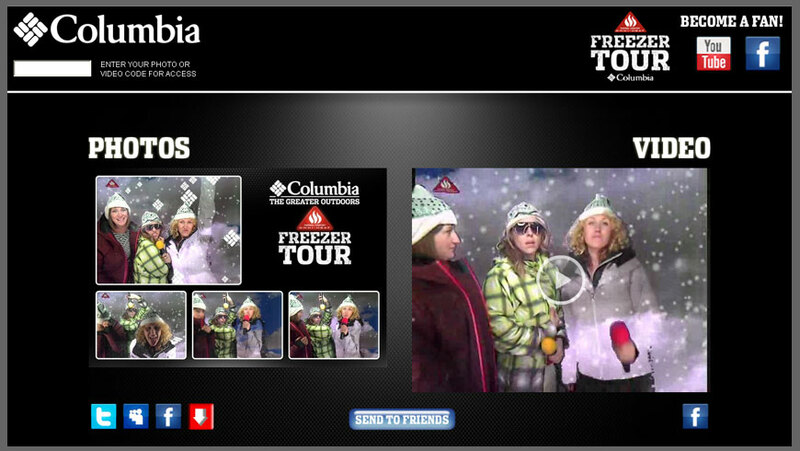 Here's a link to one of the karaoke sessions.